Thinking About Selling? See How Much YOUR Home Might Sell For in Today's Competitive Real Estate Market! This property valuation tool is a great way to get a broad range estimate of the value of your property. Our valuation tool uses public record sales data provided by a third party source. But as I'm sure you know, Lake Havasu City is a very unique market where computer algorithms just can't take the place of a real "eyes-on" market analysis and valuation of your home. The best way to get the most accurate market value for your property is by visiting the property in person, just like an appraiser would. By using the proper MLS data when compiling comparable properties, the same data available to us as Realtors and appraisers, we can then determine a pin-point price range. This will save you time, get your homes sold for top dollar and in the quickest amount of time! We would be happy to provide you with a detailed market value report at no cost. If you would like us to come out and take a quick look at your property, just let us know and we will get you on the schedule right away! We look forward to helping you sell you home for the most money, in the least amount of time! 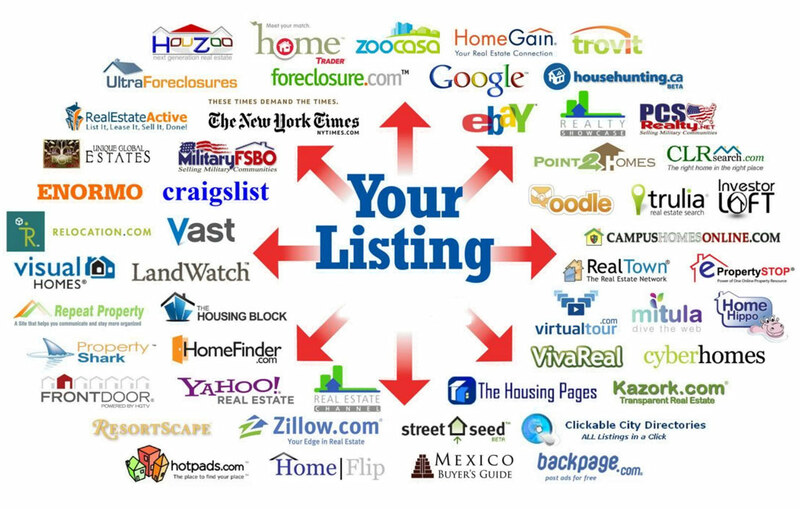 Get the MOST exposure when you list your property with us! Do you ever read your text messages? Of course you do. In fact 97% of people will read a text message within 5 minutes. 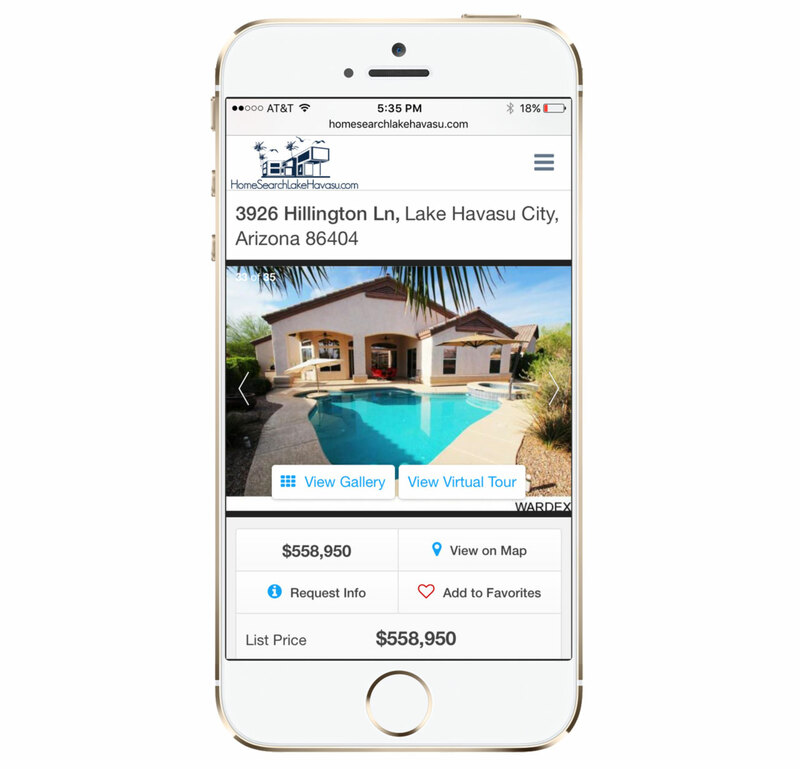 This technology is truly "marketing that works" - putting YOUR home listing and information in the palm of a potential buyers hand instantly! Just Text 912747 to 96362 to see one of my listings instantly! » Professional Photos and Virtual Tours featuring HD Drone Footage! Lets face it, newspaper ads and "me-too" marketing campaigns just aren't going to cut it in today's fast paced, technology driven marketplace. It might be great for the agents image, but unfortunately it probably will not procure or contribute much to a timely sale of your home. Lew focuses marketing dollars on where more than 90% of today's buyers "hang out"... the Internet. By using cutting edge techniques and marketing campaigns, Lew will get your property sold fast, for the most money! More importantly - he keeps sellers involved in the entire process, with weekly progress reports, professional agency representation and his exclusive Communication Guarantee and Easy Exit Listing Agreement. Everyone has a cell phone, and everyone is on Facebook and other social sites too. The screenshot above was only days old, but since we targeted the right demographics, the ad gained traction quickly! You might even recognize the top comment. ;-) We will set up professionally designed and highly targeted social media ad campaigns for YOUR listing too so your home gets the most exposure, to the right people. "Communication Guarantee"- #1 seller complaint? "The agent slammed a sign in the yard and I never heard from her again!" We will call you weekly with progress reports and keep YOU in the loop! 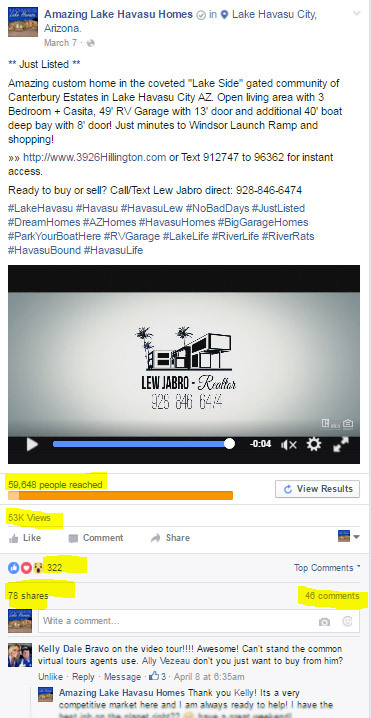 "Lews’ Ultimate 70 Point Marketing Plan" - No Plan = No Results! Our actionable marketing steps will make sure your home sells for top-dollar in the least amount of time! "Easy Exit Listing Agreement" - Don't get stuck in a long contract! Don't like the job we are doing and don't like us anymore? Fire us!